Gemstones is the essential resource for lapidarists, serious gem collectors and amateur enthusiasts alike. 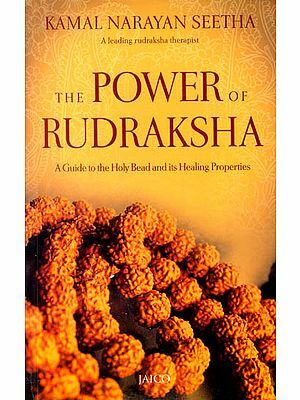 As well as the naturally occurring minerals that have long been prized as gemstones-for example, diamonds, emeralds and rubies  the book covers organic gems, such as pearls, amber and coral, and synthetic gems and simulants, also known as imitations. Part 1: The World of Gemstones examines the appeal of gemstones, the basic rock types, principles of crystal formation and physical properties. Part 2: A Gemstone Guide makes up the main encyclopedic section of the book and provides information on the origins, properties and qualities of over 200 stones, as well as major world sources. Part 3: The Art of The Gem explores the history and popularity of collecting, the cutting and finishing processes, and the ways in which stones can be enhanced or improved'. Arthur Thomas is a gemologist and gem dealer based in Sandton, Johannesburg. He has more than 35 years' experience in the gem trade, both as a dealer and educator. He is a Fellow of the Gemmological Association of Great Britain, a Graduate Gemologist of the Gemological Institute of America (GIA) and founder of the Gemmological Association of South Africa. Gemstones is a comprehensive and authoritative guide to the world of precious gems and ornamental stones. Each entry features an easy-reference table of properties, which include hardness, cleavage and fracture. 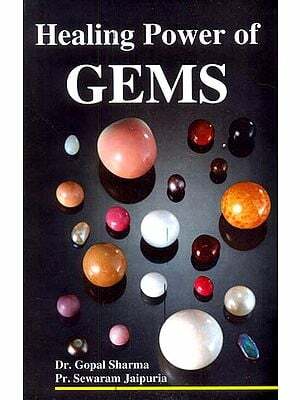 Designed as a reference guide for gem and crystal collectors, gemologists, gem dealers, jewelers, gem-setters, goldsmiths, lapidaries and rock-hounds, this amply illustrated book will have appeal for anyone who can appreciate the incredible variety of hue and form to be found in the gem and mineral kingdom. A brief summary deals with the structure of the Earth and the nature of the rocks and minerals comprising the lithosphere (crust) and the upper mantle. The crystal systems and the effects that structure and composition have on the properties of the various gem materials are described. Gem identification both in the field and in the laboratory, the cutting and polishing of gems and methods of gem enhancement and gem grading are summarized. A section is devoted to the methods employed in the synthesis of gem materials and the manufacture of gem simulants. The various organic gems such as amber, ivory, jet, natural and cultured pearls are described, then the collection and housing of gem crystals from micro-mounts to cabinet specimens and of cut gems is reviewed. Minerals may be the stars of this show but the world of gemstones is far from being inanimate. Vibrant, dynamic and multi-faceted it is populated with a human cast of incredible diversity. The mining and marketing of gems assumes particular importance in the poorer countries of the developing world where it creates many jobs and brings in much needed hard currency. Working accessible gem deposits or 'noodling' the dumps of established mines provides a living for the garimperos of Angola, Mozambique and Brazil, the 'pork-knockers' of Venezuela, the diggers of South-East Asia, India, Sri Lanka, Madagascar, Central, East and West Africa and countless others. The rough they produce is then sorted, graded, marketed and processed. The gem-cutting industry is labour-intensive, currently employing more than a million people in India alone, a figure that is growing by 15 per cent per annum. Other important gem-cutting centres are Thailand, Sri Lanka, China, Korea and Taiwan. As well as providing employment on such a large scale, the products of the industry bring pleasure to countless millions.